Photographing a farm intermittently through a season gives you an opportunity to truly see the forces of nature and man at work. Spring begins with tender starter plants and cool season produce. Summer moves to the warm season produce and most everyone’s star favorite: tomatoes. Seeds are also harvested from produce, dried in the sun and stored for starters in the spring. Autumn culminates in a burst of plenty as warm weather produce tapers off. Cool season produce now has one more turn to entice everyone with cilantro, beets and carrots. Finally, winter at the farm speaks of turning ground cover and integrating compost to enrich the soil for the next season. And then, it all rests. The soil, the farm manager and the weeds. All of it. Just a few weeks, though, until it’s time to start seeds and begin anew. 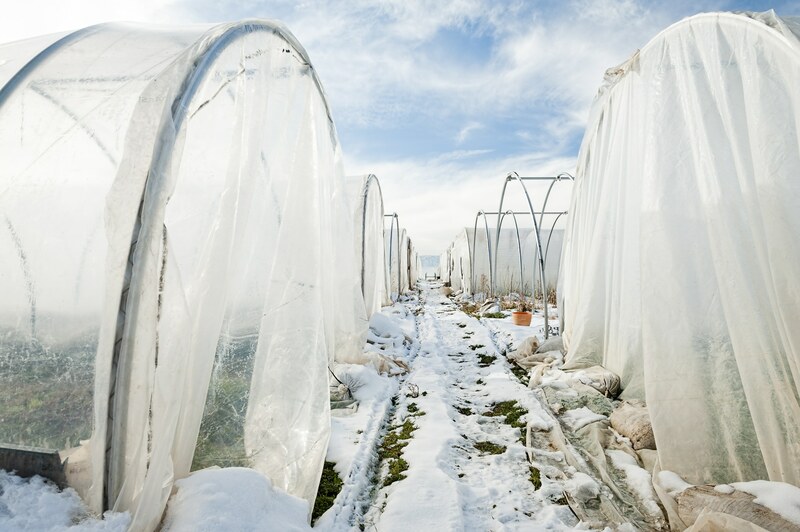 The farm I photograph, La Nay Ferme, started prepping and planting the end of January according to their blog. They hope to offer shares beginning in March. Having sampled the amazing produce here, I encourage you to check it out and think of joining their CSA or one near you. Nothing compares to the quality of fresh picked produce. It may be a good chance to make good on that New Year’s resolution to start eating healthier.